If your code need to redirect access denied page in somewhere you can use SPUtility.HandleAccessDenied() function. 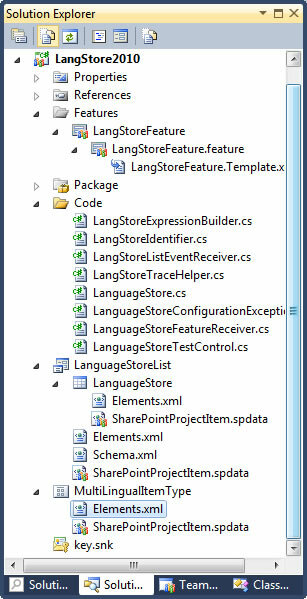 Sharepoint developers knows LangStore for building Multilingual Sharepoint 2007 Sites by Chris O’Brain. This is very useful tool and i personally thanks Chris for this great tool. But when you want to use this tool with sharepoint 2010 it has some compatiblity issues . And i also change all project for suitible with Sharepoint 2010 project for VS 2010 IDE. This strange error occurs when deploying our sharepoint project to sharepoint 2010.This error caused by a character set problem on path of users folder. My path contains a turkish character of “ı” .